In simple terms, glaucoma is secondary to elevated intraocular pressure which damages the optic nerve in the back of the eye. In most cases the eye pressure can be controlled by topical ocular medications and selective laser trabeculoplasty (SLT). In some cases, the eye pressure cannot be controlled by these methods and surgery is necessary. 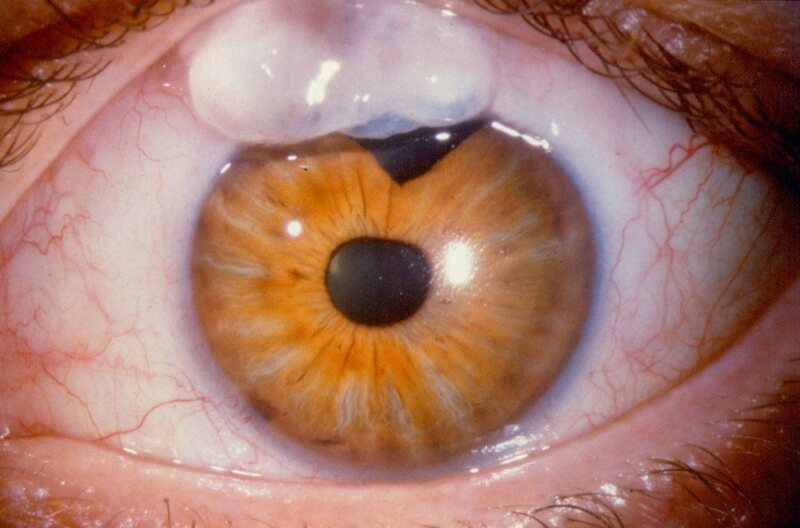 Trabeculectomy has been the gold standard for the reduction of eye pressure by surgery. There is a long list of complications immediately after the surgery. Late complications can occur a few months to several years after the surgery. The most common is blebitis and blebitis with endophthalmitis. There have been studies that have shown the incidence as high as 10%. This is especially true if Mitomycin-C (MMC) or 5-fluorouracil (5-FU). The filtering area or bleb is more avascular and many times very thin. The bleb is the fluid reservoir on the surface of the eye between the sclera (white portion of the eye) and the conjunctiva (outer layer of tissue over the sclera). Also many of the blebs leak fluid which is felt to make it much more likely that an infection could occur. Since there is an opening in the eye to let the fluid escape, you are more prone to an infection. If there is a leak, treatment should be considered and if not prophylactic antibiotics may be indicated. Other treatments include suturing the bleb, large bandage contact lens, ophthalmic ointment, compression sutures, amniotic membrane grafting, and cyanoacrylate tissue glue. Blebitis is an infection of the bleb after Trabeculectomy surgery. The infection is isolated to just the bleb and does not involve the inside of the eye or vitreous. 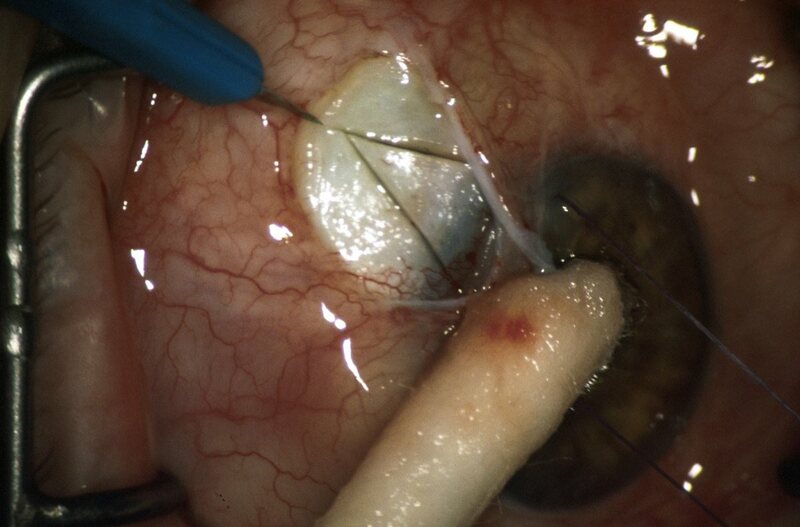 Early diagnosis and treatment is essential in preventing the progression of the blebitis into endophthalmitis. A culture should be taken to determine the cause of the infection and best antibiotic treatment program. 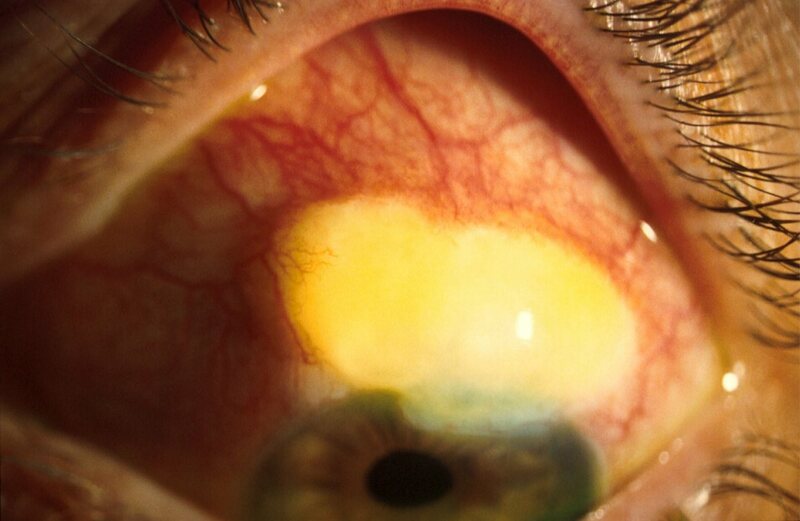 Topical antibiotics and possible subconjunctival injection of antibiotics will be used to treat the infection. The infection extends beyond the bleb into the deeper portions of the eye and vitreous body (the gel-like substance that fills the posterior portion inside the eye). They are the same as for blebitis but more severe with the symptoms progressing more rapidly. The treatment includes high dose antibiotics with topical, subconjunctival injection, and intra-vitreal injection. In some cases a vitrectomy may be performed. Bleb infections after trabeculectomy are not an uncommon event. Blebs should be examined at every exam for the patient’s glaucoma follow-up visits. Leaks should be treated in the appropriate manner. Early diagnosis and treatment is essential in trying to limit the damage to the eye from the infection.